One of a kind. Cyclocross. Full Carbon Frame. Carbon Wheels. 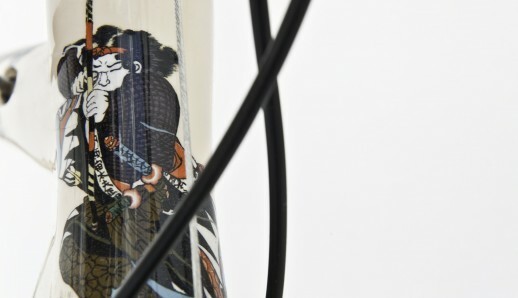 Carbon fork. Shimano 105. Hand Painted. Samurai in the Mud is a celebration of a Samurai’s inevitability of death, something he must make peace with in order to live a warrior’s life and walk his path. 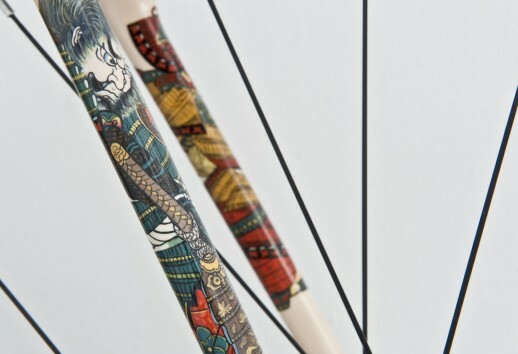 Every detail of the bike has been meticulously hand-painted showcasing the intricate nature of Japanese prints. 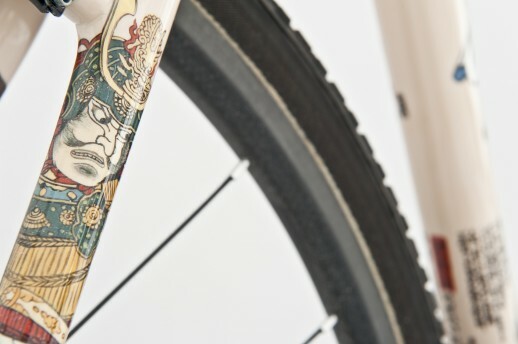 This cyclocross bike is made for the fighters, those who go to battle every day, for whom which mud and rain are no deterrent, and is at home in New York City, home to the hungriest urban warriors. “A Samurai was only a Samurai in the eyes of others, not in his own eyes. He had no eyes, he was already dead. For a Samurai there was no tomorrow, there was no yesterday, there was not even a present, there was only the here and now, he was the here and now, he was Ku. Ku was his whole life, his whole existence, all of his yesterdays, todays, tomorrows”. “One blow, one life. A whole life, a whole existence in one blow, here and now. That was the sense, the meaning. There is no fighter, no fought, no fight, there is just the here and now, one blow. Just one blow that is the whole of life, the whole existence of the fighter, the fought, the fight”. 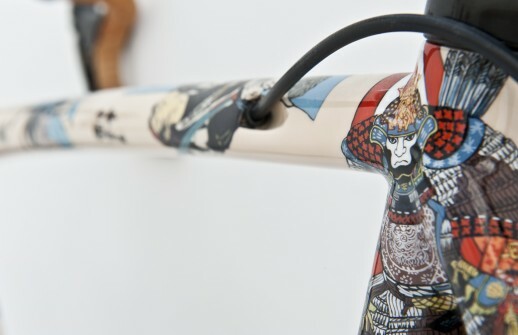 These bikes are one a kind and will never again be reproduced. Prices start from 6000 euros. 5% of the purchase price will go to the World Bike Relief and Olga’s Project.